We look at how Facebook adverts are targeting Irish people ahead of the referendum. Facebook's European HQ in Dublin. WITH AN ABORTION referendum expected to take place in late May, campaigners on either side of the Eighth Amendment debate are expected to step up their activities over the coming weeks. Teams from both sides will seek to get their message out on the doorsteps, on the airwaves, on billboards and – more than ever before – on social media. With Facebook a main battleground in terms of getting the message out there, activists have been taking out adverts on the platform to promote their stance. And while there are numerous adverts from Irish-based groups, there are also a number of foreign organisations posting ads aimed at sections of the Irish electorate. This post, at the time of writing, had over 2,300 likes on Facebook and a number of comments from Irish-based users. In December, the Standards in Public Office Commission issued a statement reminding people of the limits of political donations. It said that the Electoral Act (1997) had put in place prohibitions on donations from abroad “to protect against interference by foreign individuals or entities in Ireland’s domestic political processes, including elections and referendums”. 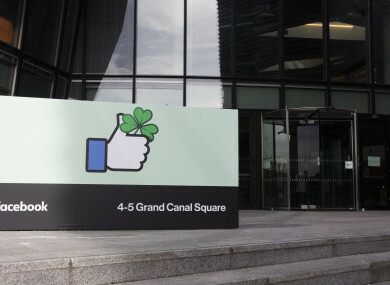 However Facebook campaigns are not regulated by this legislation – meaning individuals or groups from anywhere can pay for Facebook advertising targeting certain demographics of Irish voters. A new initiative set up ahead of the referendum has already pinpointed a number of foreign-paid advertising campaigns on Facebook related to the upcoming Eighth Amendment referendum. “Our aim is to try and facilitate an open, honest and respectful debate during the referendum campaign. We’re fond of a referendum here [in Ireland]. Irish people take pride in fully informing themselves before they go and vote. They have a right to know all the relevant information that is being given to them, and where it’s coming from. The people involved with the Transparency Referendum Initiative have been linked to the pro-choice side of the referendum, and Save the 8th spokesperson John McGuirk has criticised it as a “transparent repeal initiative” and an “entirely self-appointed watchdog”. Dwyer said that while the people involved do have their own personal views on the matter “their focus with this campaign is on transparency” on where the adverts are coming from, and called for a “respectful debate”. The initiative’s most recent survey found 60 pro-life ads and 35 pro-choice ads, and around roughly one tenth came from abroad. In the wake of the Cambridge Analytica scandal of people’s Facebook profiles being used to help design software to predict and influence voters’ choices at the ballot box, the issue of social media campaigning has come to the fore again. Solicitor and data protection expert Simon McGarr told TheJournal.ie that there is nothing within Irish law to stop foreign organisations or groups from attempting to influence the upcoming referendum through Facebook adverts. “Facebook have all the data available but the [Transparent Referendum] Initiative is a good effort,” he said. It’s a technical workaround for Facebook’s lack of transparency. Facebook adverts are fairly straightforward to set up, and can be placed by individuals, groups and brands. It involves creating a message, specifying the type of person you want to reach, and how many of them you want to reach. In practice this could mean an advert could be set up by anybody, anywhere in the world and aimed at, for example, women aged in their 30s in Dublin. The amount spent will determine how many of that demographic on Facebook sees the advert. Adverts can also be based on a person’s interests or things they’ve already looked at on Facebook. The Transparent Referendum Initiative has also highlighted adverts that were targeted on the basis of an interest in “anti-abortion movements”, “family”, “feminism” and “abortion-rights movements”. Gavin Sheridan, transparency campaigner and co-founder of legal intelligence platform Vizlegal, told TheJournal.ie: “Just say I’ve got a million dollars in the bank, and I’m interested in the Irish referendum. I happened to be strongly in favour of one side of the debate. I could spend my own money sending adverts to certain sections of people in Ireland. Just say I want to target women between the age of 30 and 50, and I want to give them a specific ad with a video that could change their mind about how they’re going to vote. I could do that. Dwyer, from the Transparent Referendum Initiative, said that a key aim of his project was to highlight cases of foreign influence on the upcoming Eighth Amendment Referendum. Between 4 March and 19 March, for example, seven adverts were detected by the initiative from a group called Expectant Mother Care-EMC FrontLine Pregnancy Centers (shown above). “I am using my existing network within the pro-life movement to encourage the work of the pro-life movement in support of the existing law of the land, which protects unborn children. I run a small non-profit and I am an Irish American. I leave it to the Irish and Facebook if you choose to ban Irish Americans from advertising in your country. But please make rules that are consistent and fair if you choose to place a ban on outside advertising. I owe my life to Irish ancestors and I take great pride in the country enshrining in law protections for unborn life. Dwyer said there was “a complete lack of regulation on social media around political campaigning”. The Data Protection Commissioner said [last week] that micro targeting on social media is an issue. In a statement, the Data Protection Commissioner also said that “in the absence of laws specifically regulating such political targeting online”, it would seek to issue guidance to people on how to trace where certain advertisements and stories on social media come from, and how they could amend their settings to not receive these stories. The Transparent Referendum Initiative works through people signing up to a piece of software – called WhoTargetsMe – that tracks the adverts related to the referendum that are targeted to them. When people sign up to WhoTargetsMe through the initiative’s website, it automatically records all the adverts related to the upcoming referendum that pop up on that person’s Facebook newsfeed. Around 250 people have signed up so far, and Dwyer said that having over 500 people signed up would help to give a more thorough and accurate representation of the kinds of adverts that are being targeted to sections of the Irish public about the referendum. So, when someone who has signed up is scrolling through Facebook and one of these ads appears, the software automatically records that this advert has appeared and adds it to the initiative’s database. McGarr said that such a system is necessary due to the way that Facebook works. It has all this data, he said, but will not release it. While we do not have an accurate number of how many foreign adverts are targeting Irish people ahead of the referendum, the transparency initiative is making progress towards highlighting them. Dwyer, meanwhile, said it is good that people are now trying to inform themselves about how they could be influenced by content on social media platforms, given the recent controversies. “The model of this content is that they appear like a regular post on your Facebook feed,” he said. Currently, these adverts are only visible to the person seeing it. It is the case that you’re being targeted for certain reasons – age, location, interests – and this is information not available to the rest of the public. There are concerns that the government’s controversial data protection legislation won’t address the problem of Facebook advertising in political campaigns. Some of the marquee things in the legislation include reduction of the digital age of consent from 16 to 13, citing reasons where a person’s data privacy can be used by the State where the “public interest” is in question, and expanded powers for a new data protection commission. It now also include fines for public bodies that breach the data protection legislation, and for the collection of and use of personal data for people who are candidates in elections, office holders or State entities of any sort. McGarr said the proposed data protection legislation will not address this issue of Facebook advertising at all, despite the issue being “too big not to have a regulatory approach”. “The bill as it stands is still full of errors… and not compliant with EU law,” he said. Facebook CEO Mark Zuckerberg, himself, said earlier this week that he is not opposed to the social media platform being regulated. He said: “I am actually not sure we shouldn’t be regulated. Sheridan, meanwhile, said that fundamental policy questions have been present for years regarding networks like Facebook and how they can advertise to people. In the wake of the Cambridge Analytica scandal, he said, “the logical consequence of what happened in the US would mean it could happen here or anywhere else. We need a policy discussion now. [The Cambridge Analytica scandal] is good timing. I wish it had happened earlier. It has made people far more conscious, and aware of the type of things that can happen. Read: How will Ireland handle social media in the Eighth Amendment referendum? Email “How many foreign groups are buying Facebook ads as part of the abortion referendum debate?”. Feedback on “How many foreign groups are buying Facebook ads as part of the abortion referendum debate?”.